Watch out massively overpaid basketball players: you may be next to get swept away by the great robot revolution. 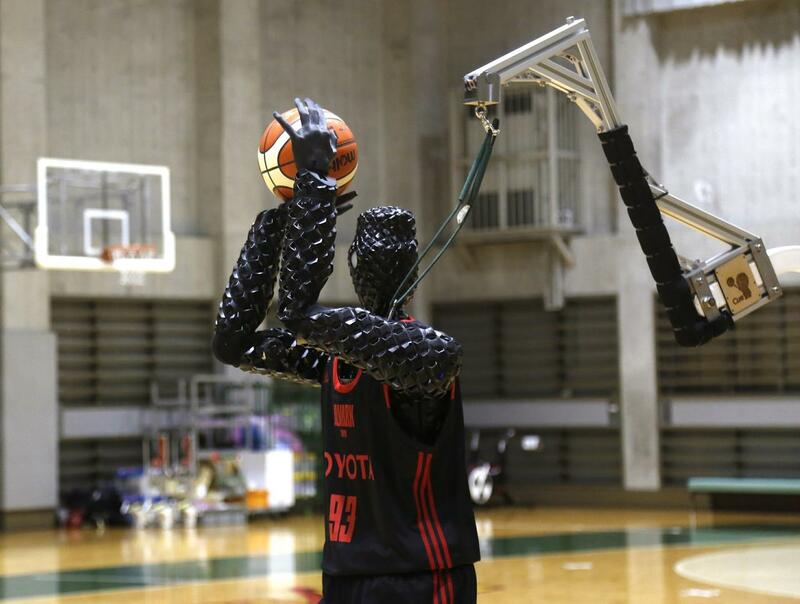 While it can’t dribble or slam dunk just yet (it soon will) Toyota’s basketball robot is deadly from downtown, and hardly ever misses a free throw or a 3-pointer. The 207-centimeter (six-foot, 10-inch)-tall machine made five of eight 3-point shots in a demonstration in a Tokyo suburb Monday, a ratio its engineers say is worse than usual according to AP. 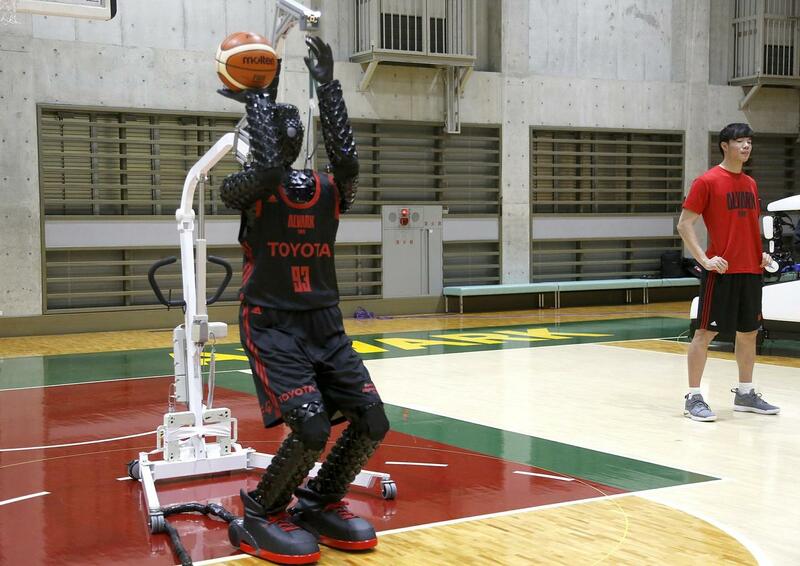 Toyota’s robot, called Cue 3, computes as a three-dimensional image where the basket is, using sensors on its torso, and adjusts motors inside its arm and knees to give the shot the right angle and propulsion for a swish. Recent efforts in developing human-shaped robots – especially from the likes of Boston Dynamics – underline a global shift in eliminating unskilled labor robotics use from pre-programmed mechanical arms in limited situations like factories to functioning in the real world with people. The transition is rapidly reaching a critical point, with Reuters reported last month that US companies deployed more robots in 2018 than ever before – as advanced machines capable of specialized tasks have come down in price and availability.